IBBI chief has said that IBC cases admitted over RBI circular shall continue even though the Supreme Court quashed RBI’s February 12, 2018 order on NPA. OYO has partnered with Hotelbeds, a Spanish firm, which will provide OYO access to more than 60,000 travel buying intermediaries around the world. Google and Apple have reportedly been asked by the government to take down the Chinese short-video mobile app TikTok from their app stores. The move comes after Supreme Court refused to stay an earlier order by the Madras High Court to ban the app. User development fee on every passenger at Bengaluru’s Kempegowda intl airport has been hiked 120% and will now be ₹306 for domestic departures and ₹1,226 for international departures resulting in an increase in airfare. International operations of Jet Airways shall remain grounded till 18 April. Air India shall resume its flight to Madrid from New Delhi from April 18. Lenders of Jet Airways have shortlisted Etihad, NIIF, TPG Capital and Indigo Partners to place binding bids for the airline. The strategic fintech investment team of Eight Roads, the proprietary investment arm of Fidelity International, has made its first investment in India, putting in $4.5 million in Kuvera, a tech-based wealth management startup. IIFL Asset Management has picked up a significant minority stake in Neewee Analytics through IIFL India Private Equity Fund. Massachusetts-based TA Associates has picked up a significant minority stake in infertility treatment provider Indira IVF. The firm runs 59 centers in 16 states and has completed nearly 27,000 IVF cycles in the past year. The deal amount has not been disclosed. R A Sankara Narayana has been appointed as MD & CEO of Canara Bank. He was earlier Chairman of Vijaya Bank. 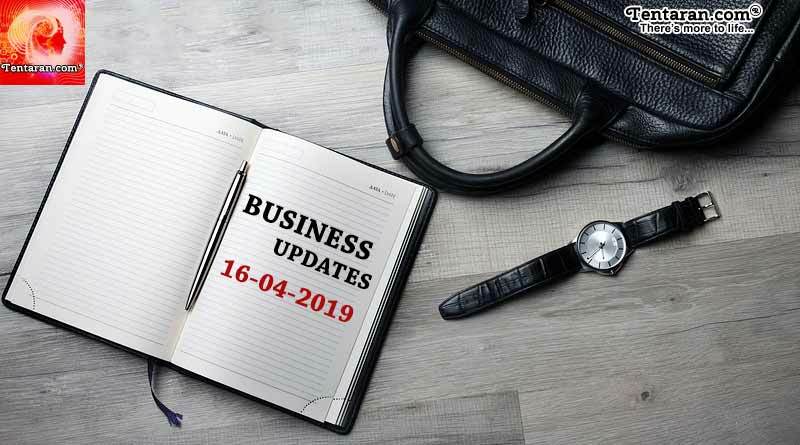 For more articles like ‘India business news headlines 16th April 2019’, do follow us on Facebook, Twitter, and Instagram.